Rise to the 18th degree in masonry and widen your masonic understanding. Established in 1801, the Order comprises Thirty Three degrees which amplify the teachings of craft masonry within a christian context. 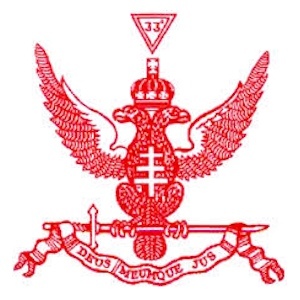 Throughout England and Wales and certain districts and chapters overseas the order is governed by the Supreme Council 33°. The District of Northumberland comprises of 15 Chapters located within the craft provincial boundary of northumberland. Chapters generally meet three times a year between September and May and evenings are completed with a traditional festive board. Candidates for the Rose Croix must have been initiated in a Lodge under UGL, have been a Master Mason for at least one full year and profess the Trinitarian Christian Faith with a declaration being signed. The ceremony seeks the Perfection of Christian virtues in Faith, Hope and Charity. 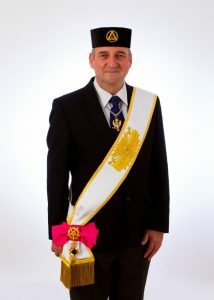 Regalia for the l8th degree is spectacular, comprising of a rose pink edged collar, gold braid embroidered with various symbols in gold braid. District Recorder for Northumberland, III. Bro. Barry Whittaker 31°.